*Actual On Road Price of Honda Dream Neo at the dealership may vary. 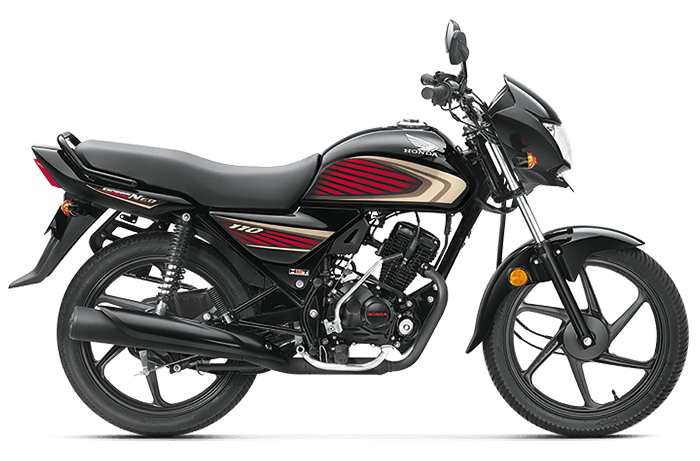 This is Honda's most affordable bike in India and the build quality is slightly better than those of its competitors. It is similar in looks to the Dream Yuga but the body graphics are the differentiator. It comes powered with a 109.2cc Honda motor which is good for 8.25bhp and comes mated to a four-speed gearbox (all-up pattern) and has drum brakes both at the front and rear. It's available in three variants where the base versions comes with spoke wheels and kick start while the premium version gets button start and alloy wheels. Honda claims that it returns a fuel efficiency figure of 74km/l. Honda Motorcycle & Scooter India (HMSI) has launched an upgraded 2016 version of its 110cc motorcycle, the Honda Dream Neo, but the price has been kept the same at Rs 49,070 (ex-showroom Delhi).